Size: 59cm x 33cm x 31cm. Application: Ideal for Group Kirtans & Classical Music. We are giving Harmonium Reed to our customers. 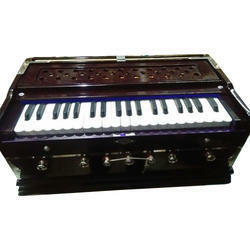 Teak Wood Body 3, 3/4 Oct.
BABA SURJAN SINGH Harmonium is bass male, 39 keys, 7 stopper with carry bag. The Harmonium Reed is the most important part in the harmonium. Harmoniums are made with 1, 2, 3 and occasionally 4 sets of reeds. To produce a perfec. We Deal In Harmonium Reed(Double Reed Harmonium). All kind of reeds available for sale at cheap price including voicing. German , Paris all types available at whole sale rate. 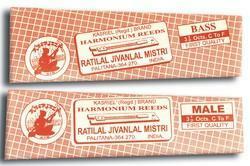 We are engaged in offering Harmonium Reed. Male, baass reed3.5 , heavy and light reed's also available here.